*Dealer-installed retail purchases only. Limit one redemption per customer. 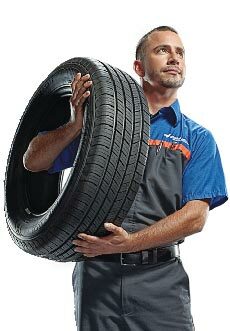 $80 rebate on Pirelli, $70 rebate on Firestone, Michelin, Nitto, Continental, Toyo and Bridgestone, $60 rebate on Dunlop, Yokohama and Goodyear and a $50 rebate on BFGoodrich. Offer valid 3/01/19 to 3/31/19. Submit rebate by 4/5/19. Rebate by Visa prepaid card. Visa is not a sponsor of this promotion. See Service Advisor for vehicle applications and rebate details. Offer valid with coupon. Expires 3/31/19.